President Trump has signed a pardon for Alice Johnson, currently serving a life sentence for a nonviolent drug offense, reports Axios. 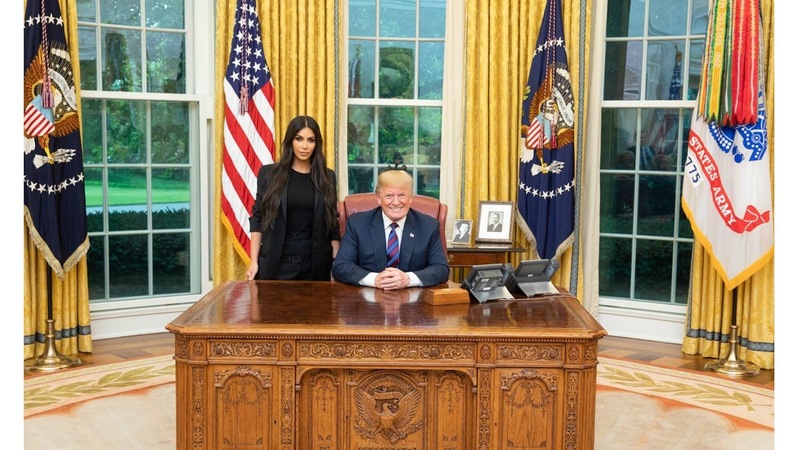 The pardon follows a visit to the White House by Kim Kardashian who championed the pardon of Johnson. Trump may become known as the Communication and Pardon President---not a bad thing. There are other pardons and commutations he is apparently considering. The White House has prepared the paperwork to pardon at least 30 more people. Pardon by photo op, what a lovely rule of law you guys have. Still, good for her, I suppose. Good deal, so Pamela Anderson should be able to drop by and see the Great Orange and get a pardon for Assange?